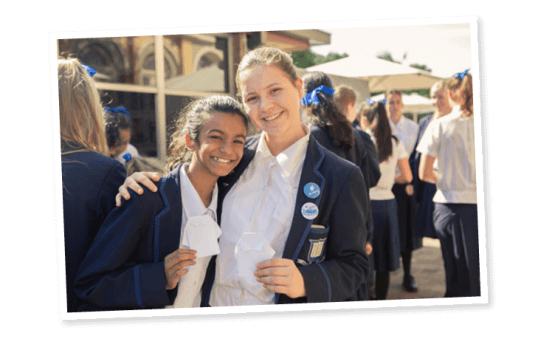 A smooth transition to secondary school assists girls to embrace the challenges and opportunities ahead of them. 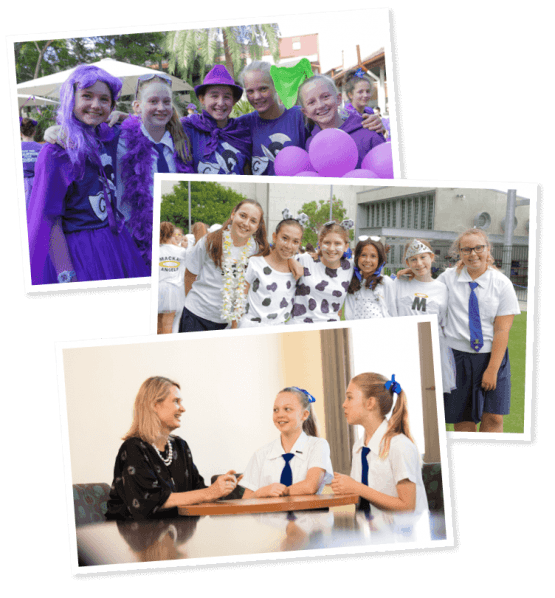 Grammar girls are supported at every step as they explore a new campus, meet their teachers and enjoy new learning experiences. 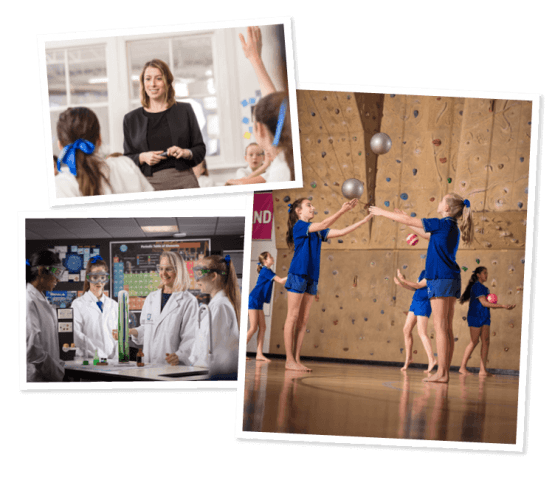 The following video and timeline provide a glimpse into a typical day for a Year 7 student at Brisbane Girls Grammar School. 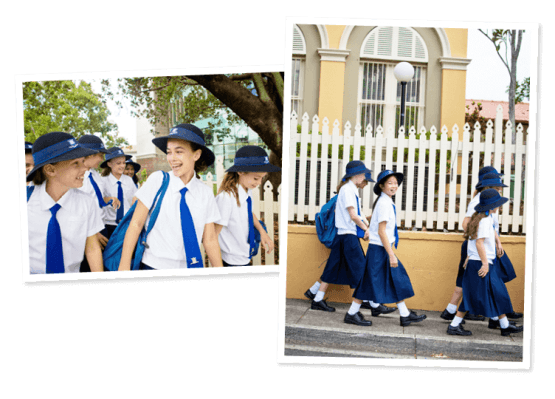 The School is well connected to all corners of the city, and students often use the train network (arriving at Roma Street Station) or the bus network (with many arriving at Normanby station) to travel to School. Many students and staff travel and walk to the campus together. 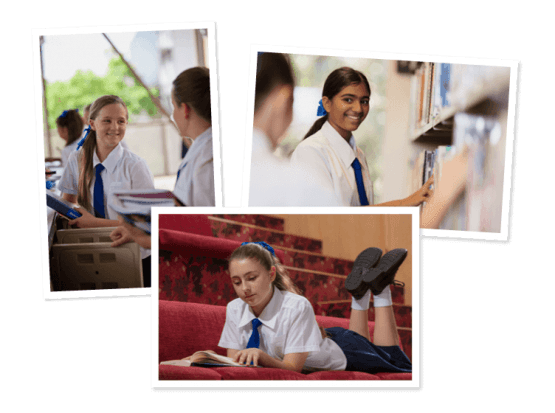 All students receive a locker for use throughout the year. Grouped by year levels, girls are able to catch up with their friends in their locker area and prepare for class. Your House group is your closest network while at Girls Grammar. 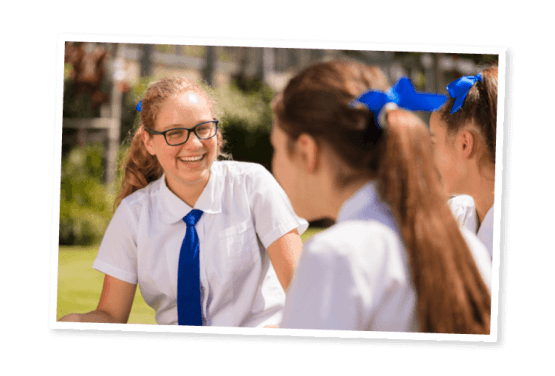 House Group teachers and your Head of House will prepare you for the day, and lead valuable pastoral care lessons including the Year 7 Ethics course. House groups organise charity fund raising events, and plan their contribution to inter-house competitions. 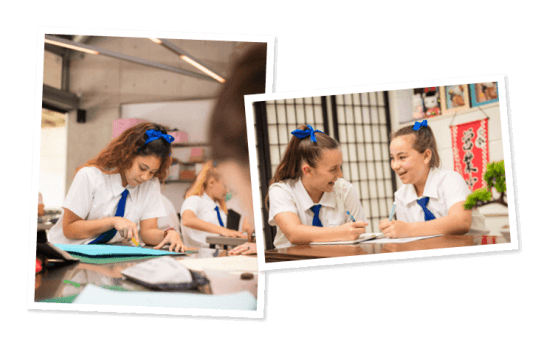 Attend your first classes of the day with your Year 7 House group. 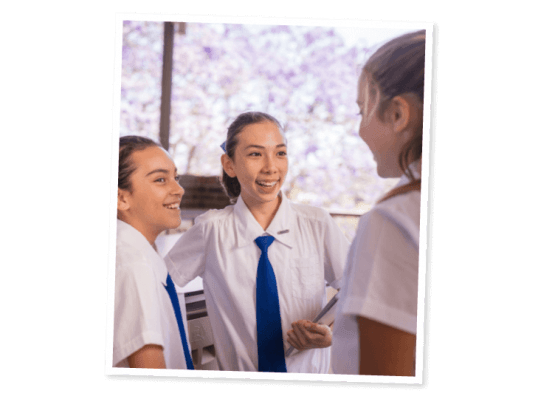 All Year 7 students attend their classes in their House group, so students are always surrounded by a core group of peers to help them navigate their first year at the School. Students get their first taste of using primary sources during their Humanities historical inquiry project; their Science teacher might introduce them to the School’s Observatory to look at celestial objects; they may learn a Rhythmic Gymnastics routine in Health and Physical Education. Morning tea is a chance to take a break and refuel before the next two classes. Students and their friends might choose to sit at tables and benches around the campus, or be active on the Pool Lawn. Year 12 buddies often check in with their Year 7 partner during Morning tea. During your first year at the School, your buddy, who is also in your House, will be your friend and guide. 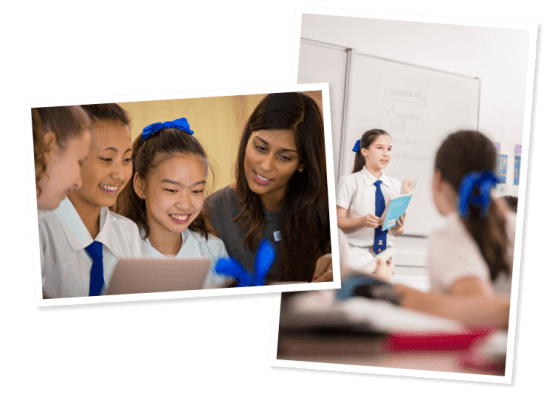 You might have a double-lesson during these periods which allows even more time for you to complete more complex learning activities. You may complete a Science experiment, or complete a practical language task. Students may choose to purchase lunch from the School’s Café. A wide range of fresh options and hot meals are available, with a new menu each day. The School’s Co-curricular Clubs and Activities often hold meetings during lunch time. Clubs are a great way to meet other students with similar interests, or to develop skills that you have always wanted to have. In Year 7, you may like to try a range of different groups and see what you like best. This lesson is your final class of the day. Make sure you write down your homework in your diary, and note when assessment pieces are due in your planner. It’s time to pack your bags with the books you need to complete your homework. If you would like to stay at School to complete your homework, you can use the Research Learning Centre and all of its resources until 6 pm on most nights. 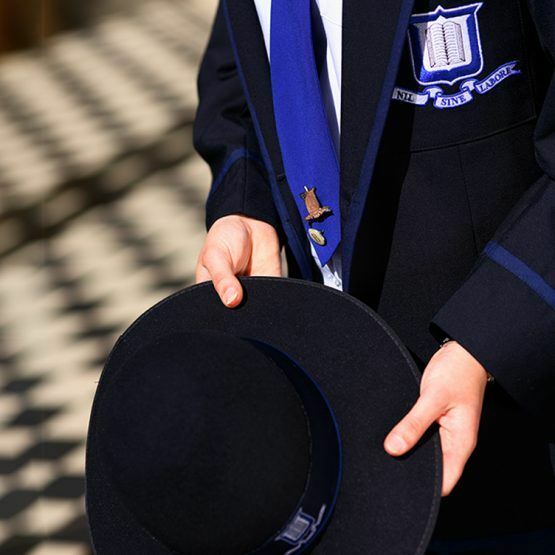 If you are involved in a Co-curricular Sport, you may get changed into your sport uniform for training. 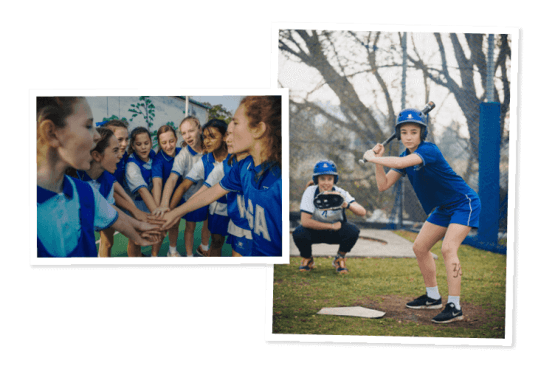 For example, Hockey players will meet at the front of the School for a bus to take them to Rangakarra, the School’s Recreational Outdoor Education Centre; Netball players might train on the School’s outdoor courts. 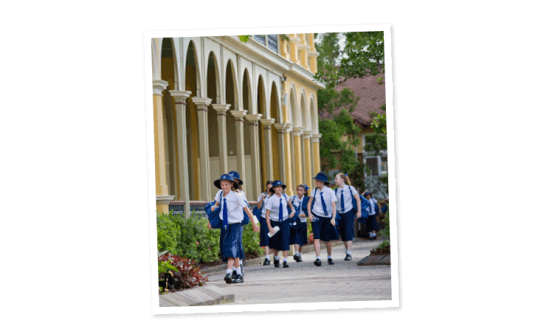 If you are part of one of the School’s ensembles, you may collect your instrument and attend rehearsal in the School’s Band, Strings or Choir rooms. If you have spent the afternoon at training, your parents can pick you up and take you home, just in time for dinner.